Since its first manifestation in September 2011, the Occupy Wall Street (OWS) movement has occupied communication spaces at various scales. Throughout the world, consensus-led decision processes have come to define reclaimed public spaces. “Mic checks”, in which a person begins chanting “mic check”, leading to a call-and-response volley, have been used to interrupt politicians and transform political speeches into moments of resistance. In a particularly spectacular and novel moment of political theater, the “bat-signal” was re-appropriated and projected on New York’s Verizon building, reminding us to “…Look around, you are part of a global uprising…we are winning. It is the beginning of the beginning. Do not be afraid.” Yet, it is clear that many are afraid. Increasingly, Occupy protests have met with police repression. From Oakland to Manhattan, occupiers have come under the police boot and baton, leading many to ask: why the repression? These protests have been virtually non-violent. Exploring the importance of Occupy at various scales, the clearest answer is the protesters are challenging something fundamental not only in America, but globally: what they are contesting and transforming are the spaces in which communication occurs. Radical geographers have been focusing upon Occupy since it’s origination, and rightfully so; however, a more critical exploration of communication spaces is necessary to understand the power of the movement and the threat it poses to institutionalized corporate power. Communication scholars have studied social movements extensively since the 1950s, exploring among a variety of issues how members frame the movement through rhetoric, how oratory comes to define their political identity, and how movement communication impacts society at large (Griffin 1952; Cathcart 1972; McGee 1980). Communication geographers in particular have explored the spatiality of these forms of social movement communication, analyzing how communication creates solidarity among geographically disparate populations, how communication spaces open up places for resistance, and how new worlds are created in these novel realms (Adams 1996, 1997; Shome 2003, Wilson 2006; Meek forthcoming). 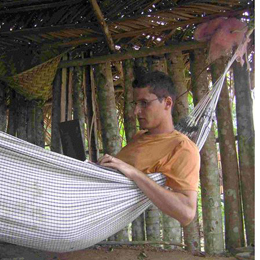 Acknowledging these trends in both communication scholarship and communication geography, a critical lens can be focused upon how the Occupy movement is challenging communication spaces—where messages get crafted, contested, promulgated and repressed. The importance of analyzing communication spaces is exemplified by a protestor’s simple sign at a recent Portland, OR Occupy camp: “Two Parties/No Voice”. I believe that this placard provides a valuable signpost for exploring how a critical geographical lens can help us understand the importance of the Occupy movement. At one level, we can explore the interplay between the rhetorical symbolism of the placard’s message (“Two Parties/No Voice”), and the new (or very old) forms of consensual communication and decision making that are taking place in Occupy camps. Focusing on the relationships between different scales, our analysis can turn to how messages such as these, and the spaces that create them, impact political leaders, causing strategic shifts in the larger national and global political discourse. Or our attention could turn to tracing the geographies of highly intricate communication pathways, exploring how specific communication places, such as the Occupy camp in Portland get embedded in virtual places as an AP photographer’s image circulates within global media spaces. In choosing what spaces upon which to focus our lens, Robert David Sack’s observation that “thinking geographically is a key component of being aware” (Sack 1997: 17) provides us a concluding pause: the Occupy movement challenges institutionalized power and capital at many scales, analyzing these nodes of resistance and their interconnections requires attention to the spaces in which these utterances evolve. 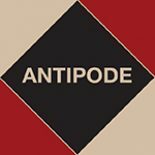 This entry was posted on 16 January 2012 by Antipode Editorial Office in News and tagged communication, communication spaces, consensus-led decision making, occupy, policing, protest, public space, resistance, rhetoric, social movements, solidarity, Wall Street.